I don't know who this lady is, but damn is she cool. 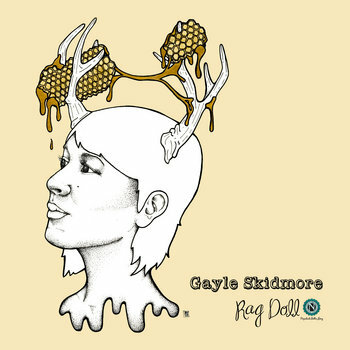 As you can see from the album art, Gayle Skidmore is a talented visual artist. As you can hear in "Rag Doll" and "Barrel, Trigger, Gun," she's a brilliant songwriter. Apparently she also crafts origami set pieces. I'm a little spooked by the unending fathoms of her creativity. But if someone's gotta be a vessel for the muse, Skidmore uses her inspiration well. If you want to hear more from her, you're in luck. Skidmore's running an Indiegogo campaign to fund her next project.